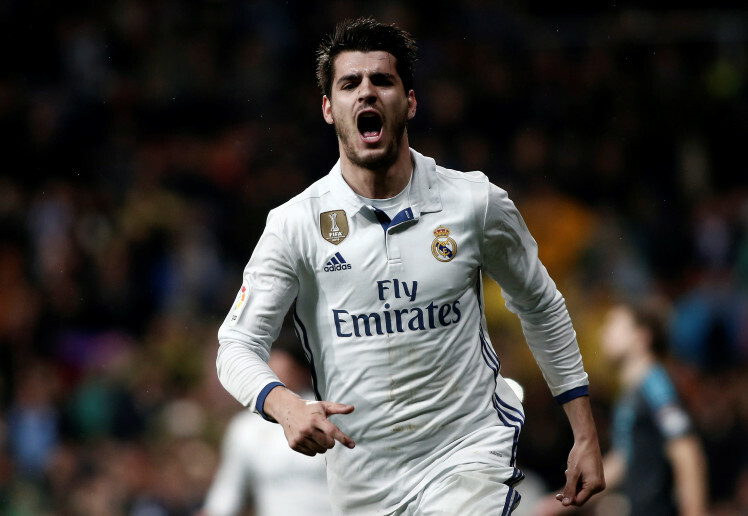 Chelsea have reached an agreement with Spanish champions, Real Madrid for the signature of Alvaro Morata for a fee of about £60m. The 24 year old who is yet to sign or have a medical with Chelsea spent majority of last season on the substitute bench as he competed for a starting spot with Karim Benzema and Cristiano Ronaldo. Morata was a transfer target for English giants, Manchester United and the Reds were believed to have been close to signing the goal poacher before they moved to sign Romelu Lukaku from Everton due to a lack of agreement with the Spanish Champions. replace the departing Diego Costa at Stamford Bridge. Morata also spoke of his delight at joining up with his former boss, Antonio Conte who coached him during his time at Juventus. Speaking ahead of the move, Morata said, "I'm going to the team managed by the coach who has placed the most faith in me, and that's great for me"
If Morata signs, he will become the Blues’ fourth signing of the summer after the acquisition of Willy Caballero, Antonio Rudiger and Tiemoue Bakayoko all from Manchester City, AS Roma, and As Monaco respectively.